If any “modern-day” parent reviewed some of the breakfasts that my hard working parents fed my brother and I when we were kids, I’m sure there would be a lot of tut-tutting and head shaking. Instant noodles and convenient frozen meals were our breakfast staples. Not because they were irresponsible parents, but, having grown up during a war and close-to-famine conditions, they considered these types of meals to be filling and nutritious (“Cereal and cold milk for breakfast? No way!” they would say)… Of those frozen meals, I used to love most the beef lasagnes. Heated in the oven to the point where the edges were slightly burnt and crispy… nostalgia in a foil container! So I have never cooked lasagne from scratch. I can barely count the number of times I’ve ordered lasagne in a restaurant. To me, lasagne was that delicious dish served at home, straight from the oven (albeit having come straight from the freezer). 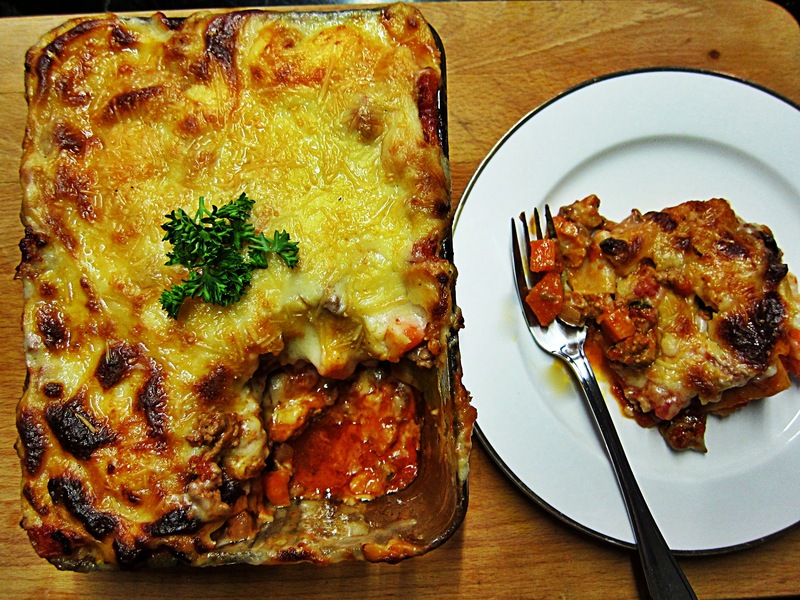 But recently I had some minced lamb in the fridge, which I had planned to whip into something “mediterranean”, when the idea just clicked – why not a lamb lasagne? 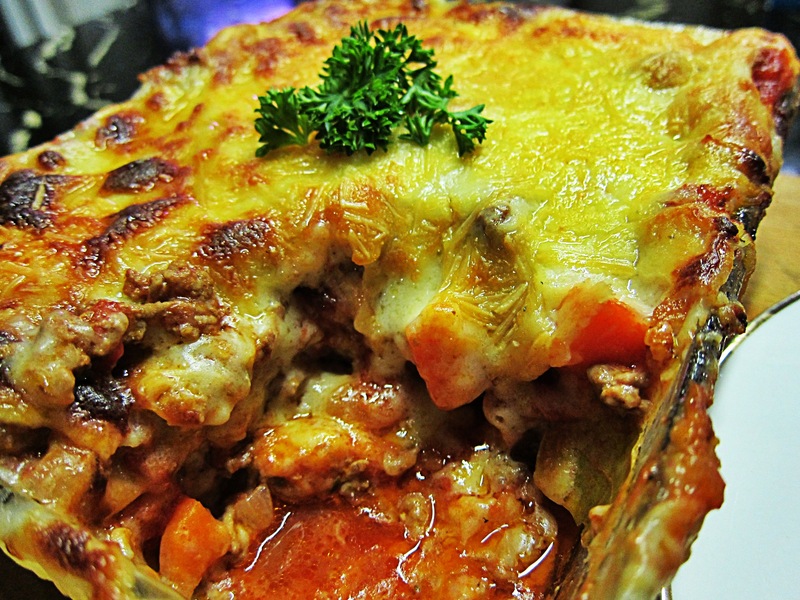 Not that I’d ever heard of lamb lasagne before, but a quick google search this morning revealed that there are indeed lamb lasagne connoisseurs roaming the earth! So here is my version. Made with a few other veggies (cauliflower, sweet potato and carrot) that were lying around in the fridge, waiting for some love, and a creamy white sauce melted on top… While this was for dinner, I made enough to put a few servings into containers and popped them into the fridge – for breakfast one cold winter’s morning. What are your childhood breakfast memories?